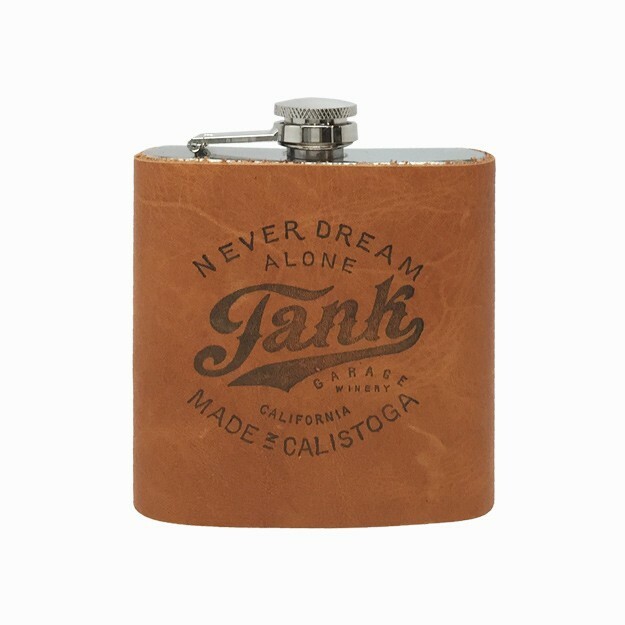 Handmade and hand-printed, leather 6 oz. hip flask. 4.5" tall and 4" wide. Gently hand-wash with warm soapy water to spot clean.